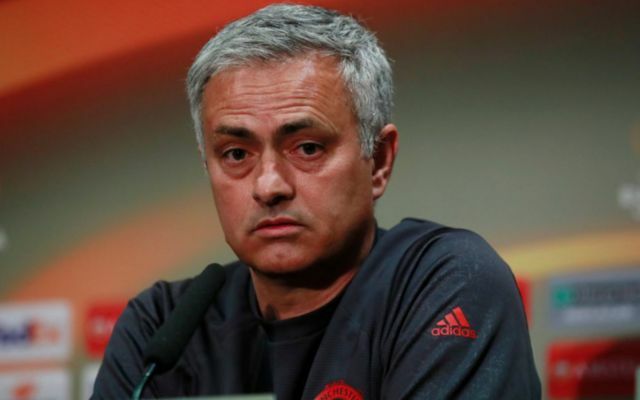 Here’s today’s Jose Mourinho press conference in full as the Manchester United manager spoke for just four minutes and gave little away about the state of his squad. After a difficult summer and poor start to the season, the Portuguese certainly doesn’t seem in positive spirits if this is anything to go by. I don’t know because today is still Friday and training Saturday and training Sunday, match Monday, decisions to be made Sunday but yes (Matic and Valencia are) training with the team, Dalot also training with the team for the first time this week so in terms of medical department they are almost free. How difficult has this week been? Or has it been easier, have the players been more motivated because of the Brighton game? No. I think difficult, difficult is after the match you lose. It is always difficult, especially for people that really care about the job, about being football professional, but after that you think about the next match. You do the same when you win, when you win you have to move on and focus on what next and imagine when you lose you have to do even more. There’s been a lot of background noise in response about yourself about Ed Woodward? Yeah but don’t ask me because I don’t know. I don’t read, I don’t know 10 per cent of what is written, I don’t know 10 per cent of what is coming on TV screens so I’m not the right guy to answer to it. Do you feel perhaps if there is so much talk there might have been a bit of an overreaction to a defeat in the second game? You have always spoken with great respect about Woodward, I imagine the relationship with him is fine? When Pogba came down and said the attitude wasn’t right after a game like Brighton, how does that make you feel as a manager about that, that he can be exceptional one week and the next week so inconsistent? Paul told, Paul has to answer by his words, if you want any explanation about Paul’s words you must get him and ask him. Spurs game are always tight affairs, is this the right game at right time? You have to play against 19 opponents at Old Trafford and 19 opponents away, you have to play against everyone. I don’t know if it’s the right time. The time is now, the fixtures were decided this way and we have to play Tottenham Hotspur in the second match at Old Trafford before we go away twice in a row against Burnley and Watford, this is what it is and of course difficult match, of course a team that last season finished in top four. So difficult match.